The Mesoproterozoic Rjukan Group represents the oldest part of the Telemark supracrustal rocks in southern Norway. Under the traditional nomenclature, the Rjukan Group contains the felsic volcanic Tuddal Formation (ca. 1.512 Ga) and the volcanic-sedimentary Vemork Formation (ca. ≤1.495 Ga), and is overlain by the Vindeggen Group. The Rjukan and Vindeggen Groups are separated by the sub-Heddersvatnet unconformity. 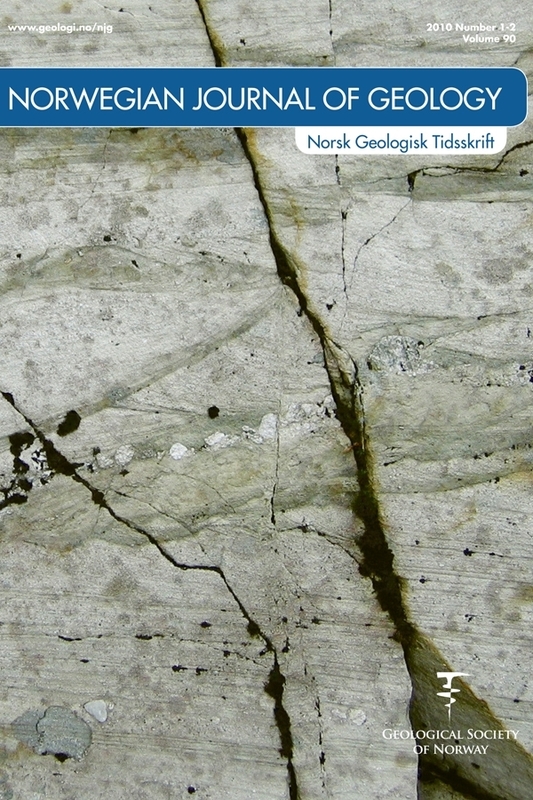 The lowest component of the Vindeggen Group is the Heddersvatnet Formation, which is deposited directly above the Tuddal Formation. The contact regions between the Tuddal and Heddersvatnet Formations, and the stratigraphic relationship between the two formations, are controversial and revisited here. New evidence from the sub-Heddersvatnet unconformity and basaltic lava interbeds in the northern-flank of the Gaustatoppen suggests that the Heddersvatnet Formation interfingers laterally with the Vemork Formation. The deposition of the Heddersvatnet Formation started at a late stage of the Vemork Formation sedimentation. The geochemistry, sedimentology and lithostratigraphy indicate that the Vemork Formation represents the axial depocenter, whereas the Heddersvatnet Formation was deposited near uplifted flank(s) of the rift basin. The sub-Heddersvatnet unconformity continues under the Vemork Formation. Observations seem inconsistent with the traditional lithostratigraphic division of the Telemark supracrustals. This study argues that the term (Rjukan Group) should be abandoned, and that the Vemork Formation should be included as part of the Vindeggen Group. The geochemistry of the basaltic lavas of the Heddersvatnet Formation basaltic lavas suggests deep intraplate melting combined with crustal contamination in a within-plate paleotectonic setting. The geochemical signature is similar to that of some continental flood basalts and the Vemork Formation basalt.